Much prettier than the picture! This Quilting Treasures blender is available in 9 colors. 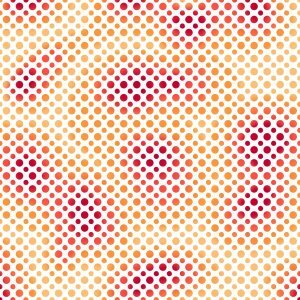 The two sizes of evenly spaced dots plays well with other prints. Just imagine it as a quilt binding, a ruffle, or in a softie.